Online divorce – shake up of the family justice system? DID YOU KNOW? A Leaseholder has a right to occupy premises for the term set out in the lease. Are you married/in a civil partnership or living together? Do you know your rights? What happens when a parent wishes to move house within the UK? How to avoid divorce over Christmas! 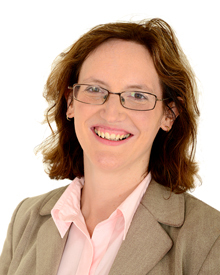 Joanna has practised family law since qualifying in 2001. She deals with all types of family matters but is particularly experienced in financial disputes for both married and non-married partners and complex cases concerning child residence and contact. Joanna is known for getting successful outcomes in difficult cases, combining her many years’ experience with effective problem solving. Joanna has dealt with cases involving international jurisdiction issues in the High Court and successful representations to the Court of Appeal. Jo has been a Law Society family law panel member since 2006. She is a member of Resolution. “I must thank you for your excellent work for the Trust since you have been involved with our affairs. We have been most fortunate to have had your assistance." "I’m so glad I’ve got you working for me"
"Thanks for the clarification, I'm so glad I asked you to handle it rather than me trying to do it (the divorce) online!" “Many thanks for your wise and empathic council over the last two years. I have really appreciated your guidance through such a distressing period of my life."